Quite enjoyed our stay here and also enjoyed how staying here came with so many benefits and discounts all around fairmont hotsprings. Very close to Fairmont Hot springs. Very close to Fairmount Hotsprings and about 30 kilometres to Radium Hotsprings. 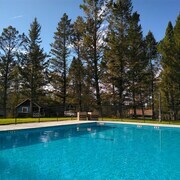 I liked the fact that it had an outdoor and indoor heated pool. The customer service was fantastic, gave us a few little hidden local gems to check out for this and the next stay. We also tried the restaurant, I would recommend as well. good food, good atmosphere and the wait staff tend to encourage taking your time and no rushing. The staff were friendly and helpful. The room was clean and the bed super comfortable. We have a large dog and she was greeted with the use of a complimentary dish and a milk bone ( nice touch). We would stay again. Where to find Fairmont Hot Springs hotels near an airport? Where can I find hotels in Fairmont Hot Springs that are near tourist attractions? 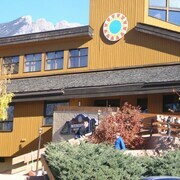 If you are hoping to stay close to the center of Fairmont Hot Springs, there is a small range of accommodation options. About 7 hotels are within a 0.1-kilometre (0.1-mile) radius of Fairmont Hot Springs' center. If you are planning to book accommodation that is only a short stroll from the Fairmont Hot Springs city center, the Fairmont Mountainside Vacation Villas and Fairmont Creek Propery Rentals The Residences will be perfect. 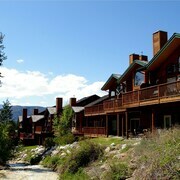 The Fairmont Creek Property Rentals Marble Canyon and Fairmont Creek Property Rentals Vacation Homes are nearest to Riverside Golf Course. If you'd prefer to stay near Nakusp Hot Springs, you could book a room at the Fairmont Mountain Bungalows and Fairmont Vacation Condo Rental. Check out the Lake Windermere Pointe and the Copper Point Resort. The Lake Windermere Pointe is situated 25 kilometres (16 miles) from the center of Fairmont Hot Springs. 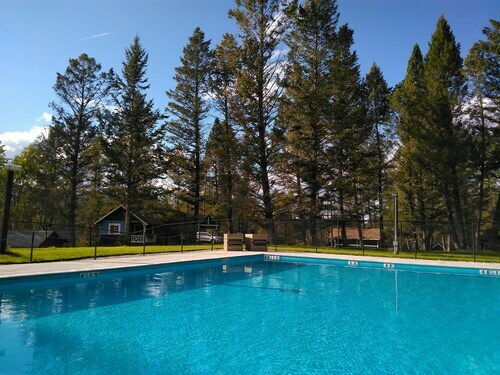 The Copper Point Resort is situated 25 kilometres (16 miles) away. More options worth looking into are the Best Western Invermere Inn and The Kanata by BCMInns Invermere. If you have time, you might like to discover the other scenic and cultural delights of Kootenay Rockies. Investigate Kootenay Rockies' art museums and history museums and photograph its rivers, streams, lakes and wetlands. Visitors in this section of Canada can enjoy snowboarding, skiing and cross-country skiing. 20 kilometres (12 miles) to the northwest of Fairmont Hot Springs is Lake Windermere, where you can spend the day enjoying the Eagle Ranch Golf Course and the Copper Point Golf Course. Should you wish to spend a night or two in Lake Windermere, check out the Lake Windermere Pointe by Rocky Now and YPC Fitness & Accommodations. 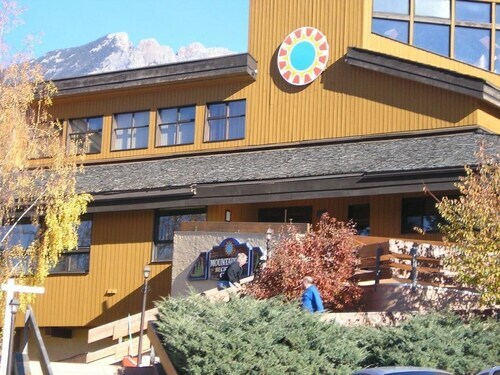 Or, stay in Panorama, 30 kilometres (19 miles) to the northwest of Fairmont Hot Springs, where you'll find the Panorama Mountain Resort and Panorama Vacation Retreat at Horsethief Lodge. Panorama Mountain Ski Area and the Greywolf Golf Course are just a couple of the more popular attractions to experience when you're in Panorama. Canadian Rockies International Airport is 80 kilometres (50 miles) from the center of Fairmont Hot Springs. St. Eugene Golf Resort & Casino is only a quick car ride away. 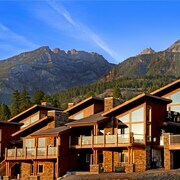 What are the most popular Fairmont Hot Springs hotels? Are there hotels in other cities near Fairmont Hot Springs? 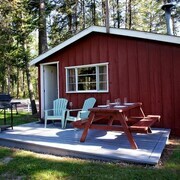 What other types of accommodations are available in Fairmont Hot Springs? Explore Fairmont Hot Springs with Expedia.ca’s Travel Guides to find the best flights, cars, holiday packages and more! Flights from Buffalo Niagara Intl. to John F. Kennedy Intl. Flights from Vancouver Intl. to Louis Armstrong New Orleans Intl.